Getting platinum blonde hair is not for the faint of the heart, but many will run the risk of double processing their hair to hop on this popular hair color trend. Platinum hair is definitely reigning supreme at the moment, but the most coveted look is wearing the bold dye job with a stylish short crop to match. Whether it’s a super short platinum blonde crop or a classy shoulder length cut, there are plenty of ways to wear the look. Looking for short hairstyle inspiration for white, icy, or gold platinum blonde hair? Here’s our edit of short platinum blonde hairstyles that are extremely flattering. Rather a look that allows your platinum hair color to speak for itself? Go for a simple flat-ironed style on a shoulder-length cut. When styling, be sure handle your color-treated hair with kid gloves. 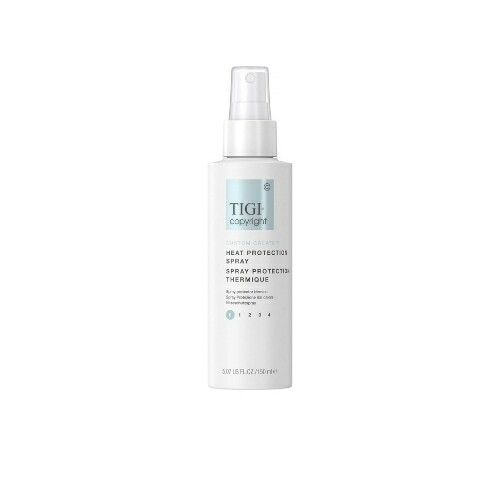 Protect your strands with a heat protectant, like TIGI Copyright Custom Create Heat Protection Spray, and flat iron your hair in small sections to prevent multiple passes on the same areas. This may be the best time to try your hand at this hairstyle since bowl haircuts are back. What we love most about this haircut is that you can also add curls to switch up the look like this mushroom haircut tutorial. Whether you’re looking for a way to style grown out bangs, grown out roots or simply in the market for a look that will help accentuate your face shape, try this look. 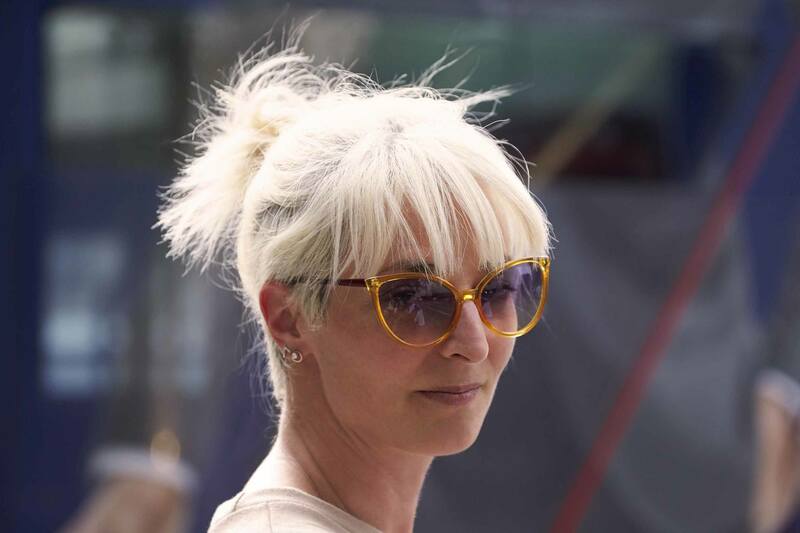 Bangs, in general, are a simple and casual way to wear bright white hair color. The long bang version, however, packs more styling options. 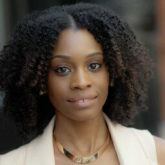 Wear them side-swept, right down the middle, curly or lived-in. It’s your call! A short pixie cut is a low-maintenance hairstyle option when it comes to daily styling. If you want to go shorter, ask your stylist for short layers to create dimension. Want something super bold? You might as well go all the way. Pair up an icy-white blonde hue with a clean and edgy side shave. To style, play up the avant-garde look by styling your length with a slick-straight finish. 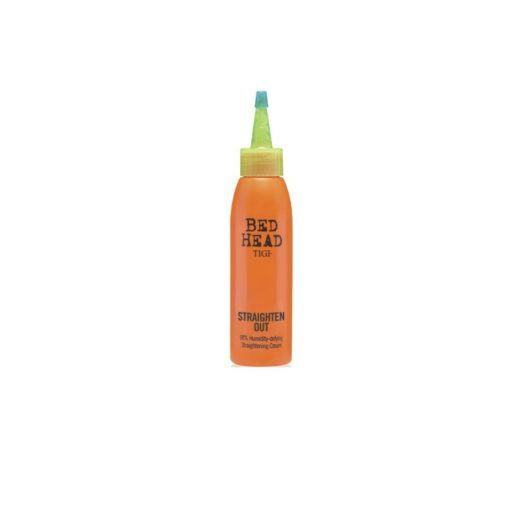 Use a product, like Bed Head by TIGI Straighten Out Straightening Cream, for a long-lasting hold sans frizz. Who says short haircuts are exempt from updo styles? This look is proof that even with an undercut your platinum blonde short hair can be styled in multiple ways. 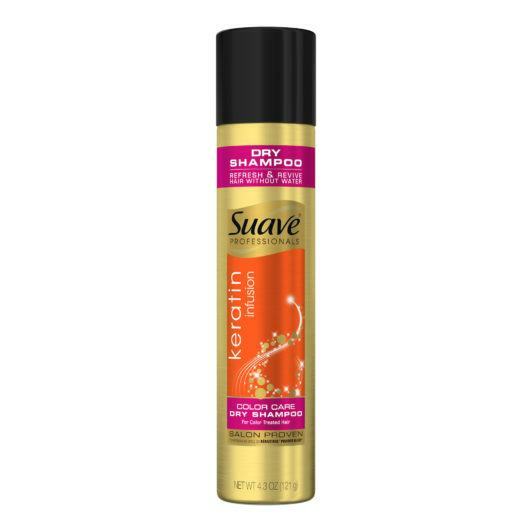 On dirty hair, refresh with a dry shampoo like Suave Professionals Keratin Infusion Color Care Dry Shampoo, work it through your roots then finger-style hair into a messy top knot. If starting with freshly washed hair, rough-dry then create your bun. check out these hot white blonde hairstyles.